Good morning, all! Joining us today in the Ruins is Alison Sinclair, author of the fantasy Darkborn Trilogy, as well as Contagion: Eyre, the second book of the science fiction Plague Confederacy series. Thanks for taking the time to stop by today, Alison. For those who haven't yet had a chance to enjoy the Darkborn trilogy, the Plague Confederacy, or your other work, please tell us a little about yourself and what we can expect. Ask me where I’m from, and you get an itinerary; I’d moved across the Atlantic three times before I was sixteen, and have continued to wander since, mainly between Canada and the UK, but with a stint in Boston. I went from the cradle to science, first physics and chemistry, then biochemistry, then medicine, clinical research and health technology assessment. I’ve written ever since I could hold a pen, certainly before I figured out the spelling thing, or the left hand margin thing, but it took me until 1995 to publish my first novel. The journey from 'aspiring' to 'accomplished' can be a long one, even in the era of small presses and digital publishing. In your case you've worked with multiple publishers, both small and large, from Roc to Bundoran Press. What has your ongoing journey to publication been like and how has it changed over time? I sent my first novel (by post) to a publisher in New York (which at that age, and as a Batman fan, I conflated with Gotham city) when I was nine, and got a very nice rejection letter in return. I wish I still had the letter, because I’d be curious as to whether I recognized the name of that long-ago editorial assistant. The world that would become Burdania, the world of Legacies was something that came to me very early. I was writing stories set in it from the time I was a young teenager, but not thinking in terms of publication. My early writing showed my early influences: science fiction and fantasy and CanLit. I barely knew that SF magazines existed, so I kept sending SF short stories to literary magazines, with predictable results. 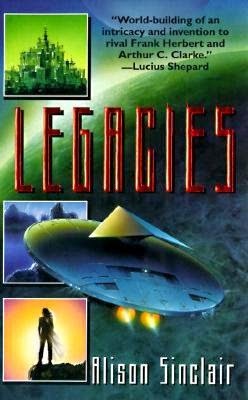 When I moved back to the UK in 1989, I was more equipped to explore the SF scene, and by then I was working seriously on Legacies. The second editor I sent it to liked it enough to be encouraging, and by the time I had incorporated her recommendations and sent it back, she had moved to the newly launched Orion. 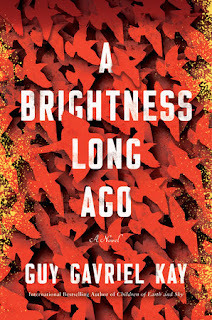 It was published three years later in hardcover and trade paperback, to good reviews and a spot on the Locus Best First Novels of the year list. That same year I moved back to Canada to study medicine, a good move for my science career, but not a good move for my writing career, since the Internet in its present form was only just getting started, and it took 18 months to sort out the distribution problems so people here to could buy the books. 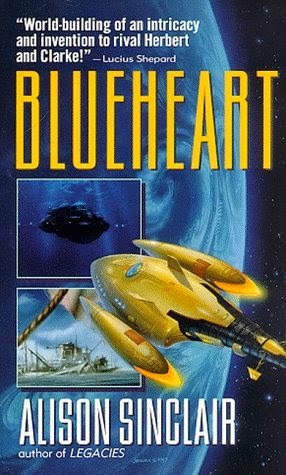 But I wrote and published Blueheart and Cavalcade before I finished medical school, and then Orion merged with Golancz, and they decided not to take on my fourth novel. I finished that novel, which is the one with unsolved technical problems, then wrote Breakpoint: Nereis and Contagion: Eyre. By that time I had an agent, and she sent Breakpoint and then Contagion to editors in the US. Fantasy was dominating the market, and while I had favourable comments on the novels, the decision to buy went against them. I had been playing with the beginning of Darkborn and when I sent to my agent, she strongly encouraged me to go on with it. So I did, and it found a home with ROC in four months. I wrote Lightborn and Shadowborn while doing a MSc in Epidemiology and freelance medical writing. All of these came out in trade paperback, followed by mass market, and ebook. Then I decided I was going to find a way to get Breakpoint and Contagion into print, and began approaching small presses. On a visit to Bakka, the Toronto specialist SF bookstore, I’d been amazed to discover that many authors I had read in the ‘90s and had lost track of now publishing with small presses. Hayden Trenholm had taken over Bundoran Press with the explicit intent of specializing in SF books, and he took on Breakpoint and Contagion. Breakpoint came out last April, and Contagion just came out this week, in trade paperback and ebook. Genre awards have been in the news a lot lately, especially with the controversy over the Hugos. Looking back on Cavalcade’s nomination for the Arthur C. Clarke Award, what are your thoughts on the awards process and on what value they offer? The Clarke Award nomination came utterly out of the blue—the book came out in November, and experience with Blueheart had told me that nobody would see it on the shelves until after Christmas, displaced by Christmas tie-ins. I was at work when I picked up the email congratulating me in terms that seemed to assume I knew, thought 'OK, that’s fallen through from a parallel universe" (because one does), logged off, and trotted away to run down some patient information. Needless to say, when I confirmed it belonged to my universe, I was very pleased, and still am very pleased. People who know tell me that awards do not necessarily boost sales, but they do help visibility. And there is a sense of validation, that a group of people all agree that a book is good. I’ve also been on the other side, as a juror for the Sunburst Award, and gained an appreciation of what a challenge that is. I’ve never been so up on the field as I was that year, and I’ve never thought so hard about all the axes of measurement for quality, and about how much I can factor in my own taste. You’ve also been very active in attending conventions over the years, both as an attendee and as a guest/panelist. How has that experience impacted your writing and your career, and what tips do you have for authors looking to maximize their convention experience? I think I’d be going to conventions as a reader, even if I had never written a word, once I got over the initial hump of knowing nobody. In fact, I’d probably be going to more conventions, since I wouldn’t be thinking of conventions as being in direct competition with prime writing time (weekends). Since I don’t work in an arts field, and I have moved around so much, conventions are my opportunity to talk books and media exhaustively and in person with people I seldom see otherwise. And buy books. As for tips, it’s a bit like writing: I only know what works for me. Don’t over schedule (I regularly fail at this one). Avoid back-to-back paneling over lunch. If you can’t do without sleep, pay attention to where your room is relative to the party floor. Prepare for panels but recognize they are alchemical mixes and may bubble up in unexpected directions. Mornings can be a great time to get out and explore. Always check your customs allowance. To get back to Contagion: Eyre and the Plague Confederacy series, I know you’re very interested in medicine and science fiction, so what can you tell us about his this series developed for you? The series started out to be one book. I’ve been a Star Trek fan since getting over my terror of “The Devil in the Dark”, and wanted to write a book about a starship. So how could I work in the medical aspect? … I was taking a course on epidemiology at the time, and had the idea of having the Waiora and its sisters out to make contact with colony worlds that had been cut off for a century and a half by a plague. A century and a half was long enough for the colony worlds to have figured out how to survive by their own efforts, but not too long for them to have forgotten their origins. By the time I had finished the first novel, Breakpoint, I knew I wanted to do more of them. Now there’s also a religious theme to the series as well, with the theocracy of the Caducean Order. How does that play into or interact with your thoughts on medicine and science, and what kind of conflict does that create in the novel? Contagion: Eyre originally started out as a near-future dystopia. My notes don’t capture the shift, but I do know that between the original conception and the writing in 2003, 9/11 happened, which brought public religion to the forefront of political concerns and writers’ imaginations. I had already established Teo as religious, and as someone whose duty as a physician had come into direct conflict with the dictates of her own faith when the re-contact teams had arrived on her own world. One set of conflicts built out from Teo’s strong principles of faith and medicine, which set her in direct opposition to the Caducean Order. Another set of conflicts built out around Ceric. He’s a young intellectual and skeptic, extremely well-born, who nevertheless runs afoul of the Order’s attitude that skepticism is a mental illness. For those reader who know you best from your Darkborn trilogy, the shift in genres and tone to the Plague Confederacy can be a bit jarring. Did you sit down to deliberately write something different, or did it just naturally evolve from your own interests? As originally written, the Plague Confederacy novels were a third longer, with more description of the worlds, and more digression in my characters’ interactions. They had to be stripped down to suit the preferred lengths of midlist SF, and then small press submission limits, so relative to my first novels and to the Darkborn trilogy, they are much more spare in style. But every bit as complex, I suspect, and they show the same preoccupations. In terms of reader reactions, what is the strangest or most surprising reaction to your work that you've encountered to-date? If I’m being honest, a lot of the times it’s simply that they like it. Particularly just after I’ve finished a book, all I can see is the places where my execution fell short of my ambition. Ursula Le Guin talked about the difference between the book in the head and the book on the page, and I know exactly what she means. I’m the one who knows how many times I rewrote that scene, or how that character fought with me the whole time, or how I practically had to tie myself to the chair to make myself stop running away from that difficult chapter. Thanks again for stopping by, Alison. Best of luck with the series! Alison Sinclair is the author of the science fiction novels Legacies, Blueheart, and Cavalcade (nominated for the Arthur C. Clarke Award). 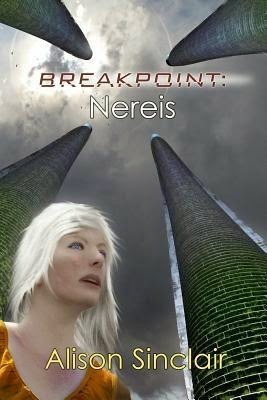 She released the first novel in the Plague Confederacy series last year, Breakpoint: Nereis. She currently lives in Ottawa where she is working on the next novel in the Plague Confederacy. 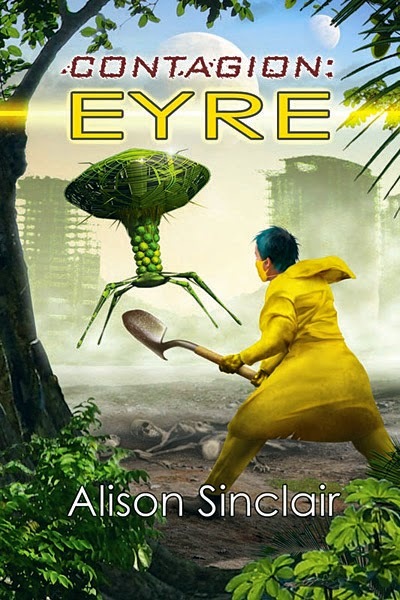 Eyre has survived the collapse of the galactic empire better than most of the lost colonies with a central government, a world trade network, an effective medical system - and a pathological fear of death. 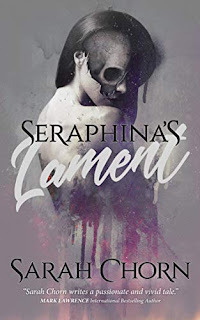 When the medical re-contact ship, Waiora, arrives with its dual mission of finding the plague and stabilizing surviving colonies, its crew is quickly immersed in a religious schism that threatens their mission and their lives. 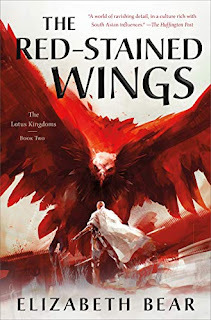 As a mysterious contagion threatens lives and incites revolution against the Caducean Order, the Waiorans must choose between the success of their mission and their most deeply held values. This is the second volume of The Plague Confederacy series from Alison Sinclair.